Y’all, I am officially defending my dissertation in November! HURRAY! Now that I’m not sick, I am making quick progress. 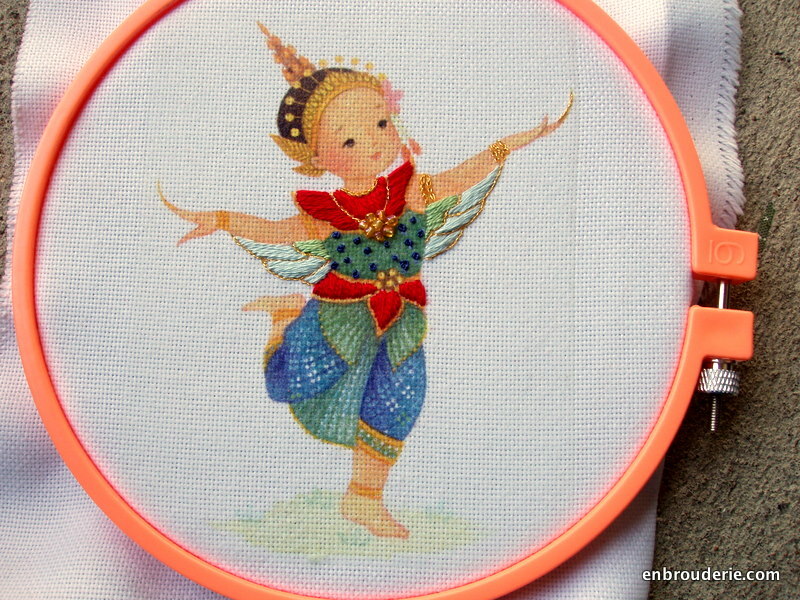 In celebration, I am working this little bitty Thai dancer. 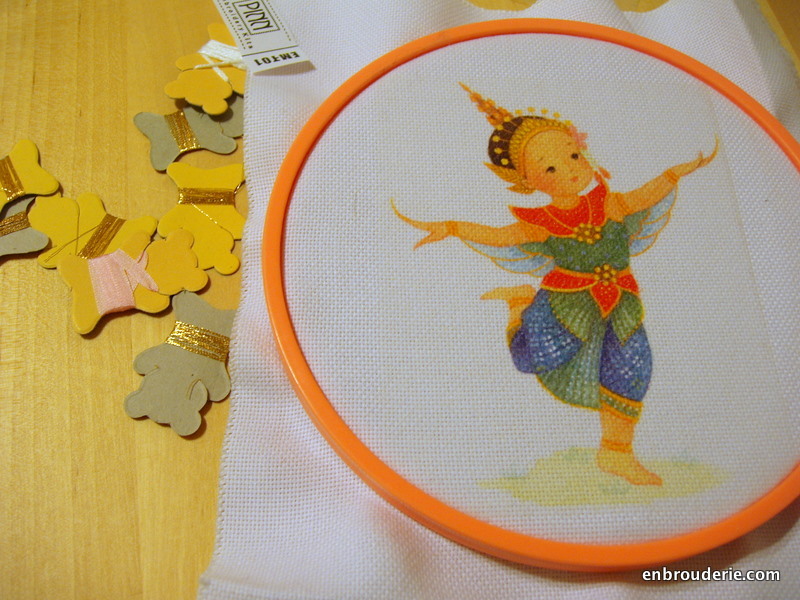 It’s an embroidery kit from Pinn Stitch (they mostly have cross-stitch, but they both this kit and a second dancer). It comes with a frame (one of those rubber fake wood ones), gold thread, beads, and pink ribbon for embellishing the preprinted design, but I have decided to add more thread and embroider the whole thing. I have already started, and am having tons of fun. This entry was posted in My work, Surface embroidery and tagged embroidery. Bookmark the permalink. Congrats on getting the defense scheduled and all the best on that! I just put away some “Easter Egg Grass” from Kreinik that would make beautiful gossamer wings! This piece is charming! What is your dissertation topic? Like for elections?! If I had to guess I would have thought it would have been in the area of the Arts. You are truly a Renaissance Woman! Looked at this web shop, lots of beautiful pieces…love the young Ganesha and Madonna and child (09). Thanks for the link! You’re really bringing this charming little piece to life – well done! Lovely design.Congratulations and good luck for your dissertation! The piece is lovely. Quick, fun – SO colourful! It reminds me of a dragon I did in cross stitch with many lovely colour variations – it was lovely to work with. I’m excited about starting a new adventure after graduation!